How do you like DF's single My Madonna? Thanks for visiting the DFonline! 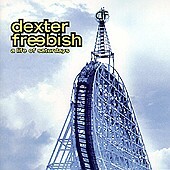 This site is dedicated to the very talented Dexter Freebish. If you have any suggestions, comments or inquiries, please don't hesitate to send me an email at affirmnet@hotmail.com or darksarcasm@hotmail.com. Hi!!! My name is Blaine... and I thought I'd introduce myself to all you Dexter Freebish fans out there.... i live in Livingston Texas (pretty close to Houston), and I've got a band named Cardboard Justice and we started covering Leaving Town a while back... and i became a BIG fan of DF and started tabbing out some stuff recently, which is how I met Matt, and now here i am! Exciting huh? Well i have a lot of plans... you'll be seeing a few more tabs... (my drummer's working on some drum stuff currently), and I'm just really excited about this... so y'know... we'll see what happens! New Leaving Town Bass Tabs! Yes everyone! 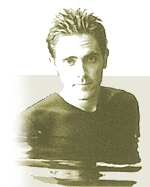 DFonline now has bass tabs for DF's smash hit, Leaving Town! Check it out on our Guitar Tabs Page! Hey everyone! Here's a fab site for all of you! It's from MusicHead -- providing DF fans with the latest information. Includes great pix, contests, and an exclusive interview with Scott and Rob! 'Nuff said! Check it out at www.musichead.org. A Cruise With Dexter Freebish? Yes, go cruising with Dexter Freebish and Sister Hazel on the Labour Day weekend at the Carnival Jubilee The cruise runs from Thursday, August 30th - Monday, September 3rd It starts from Tampa, FL and cruises to Cozumel, Mexico with a stop in Key West. The Cruise will include a meet & greet and a private concert on the ship featuring both bands. For more information, click here. Yes, Dexter Freebish has a new single released and is now playing on airwaves across North America! The single is My Madonna from their smash hit album Life of Saturdays! Request it to your local radio stations now! Yes, it's time! Dexter Freebish Online is finally up and running (well, except for multimedia bit that will take a while) So check out the lyrics and guitar tabs, alright? News and tour dates will be updated as they become available. Oh yeah, remember to request, Leaving Town! Vote for them on TRL in the United States, MMMtop5 in Anglophone Canada and top5.musiqueplus.com in Francophone Canada. Check out the pictures I have uploaded to the site! There are pictures of the group and some individuals, too! Welcome to Dexter Freebish Online! I want a copy, too! Dexter Freebish Online has no affiliation with Dexter Freebish nor Capitol Records (yet). Images, articles or other sources of media are used without permission and are copyright to their respective owners.